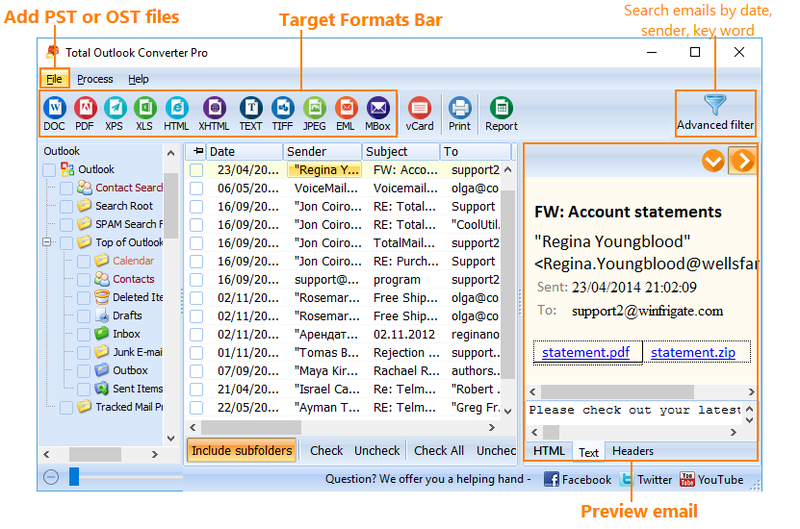 With CoolUtils Total Outlook Converter, converting all of your emails into PDF files is a simple, one-step process. 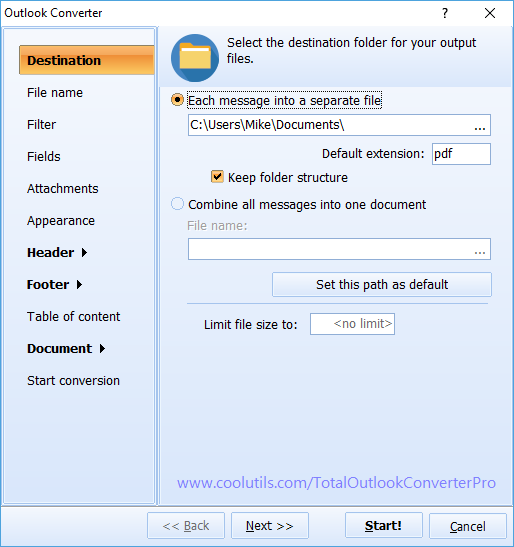 However, it really is a whole lot more than just a simple converter software, as Total Outlook Converter also allows you to stamp Bates to Outlook emails as they are being converted. Indexing and archiving all of your important emails just got a whole lot easier thanks to Total Outlook Converter's unique page numbering function. You can choose however many digits you want to include, select the digit you want to start on, and the program will automatically begin numbering each page of the converted files (sequential numbering). Even if you're converting hundreds of emails, the numbering system will continue on with each file to ensure you'll be able to find exactly the page you need in seconds. To make things even easier, you can also rename each file so that the new file name corresponds to its beginning and ending Bates numbers. Total Outlook Converter saves you from the time and hassle of having to go back in and use Acrobat to add the Bates numbers into the PDF files once you've converted them. Of course, it also keeps you from having to individually convert each of your emails using a PDF printer as it allows you to convert bulk batches of emails at once. 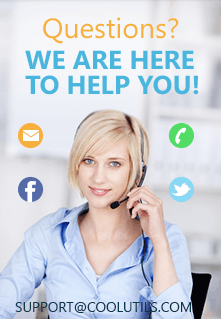 The software can connect directly to your Outlook email - all you need to do is confirm your account and you'll be ready to start selecting which emails you want to convert through the simple, straightforward GUI. 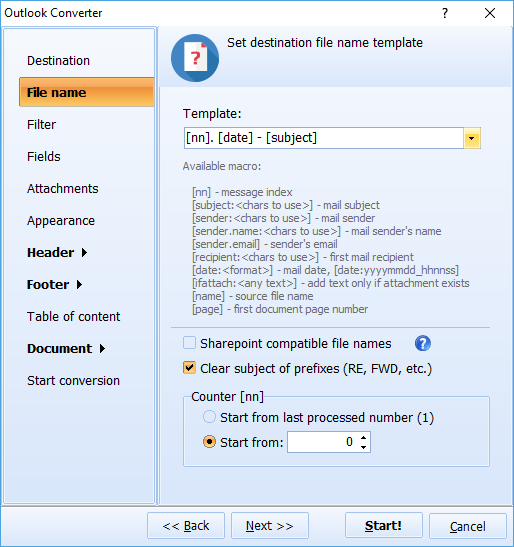 No need to export or backup your files, as Total Outlook Converter can automatically load everything from your Outlook. On the other hand, if you've already backed up your files, you can also select the PST files from your hard drive or let the program automatically search for them for you. Total Outlook Converter is definitely the quickest and easiest way to stamp Bates on Outlook emails, but don't just take our word for it. Instead, why not download the free 30-day trial and see how easy email conversions can really be.